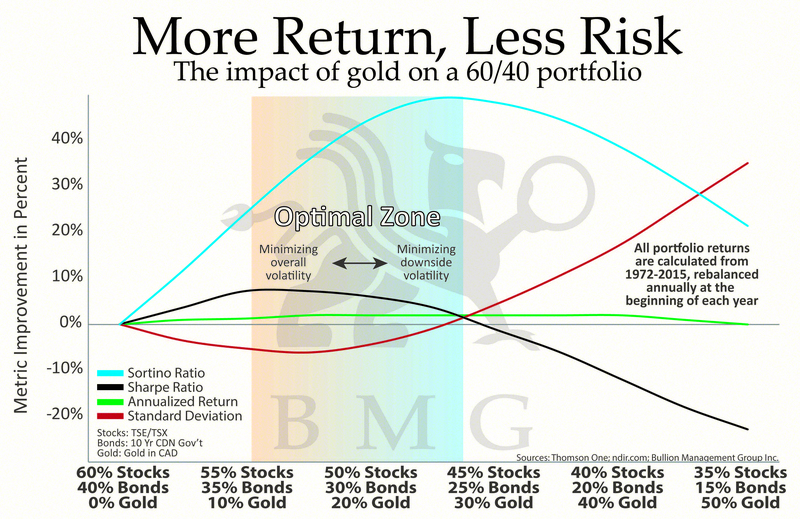 I thought that everyone knew of gold’s attributes of protecting the portfolio. 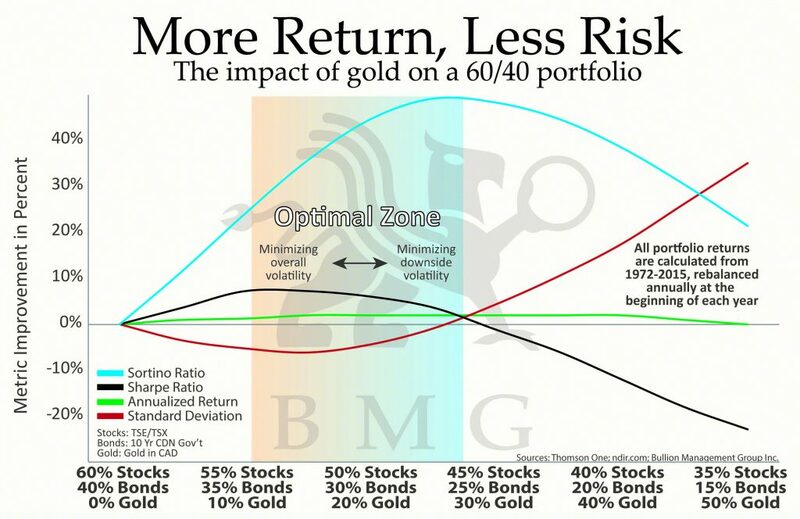 I thought that everyone had heard the saying, “Put 10% of your money into gold and hope it doesn’t work.” This comes from the fact that gold is negatively correlated to financial assets and, by including gold as a long-term strategic allocation, the volatility of the portfolio will be reduced while the returns are improved, along with the Sharpe and Sortino ratios. I thought that everyone knew that there were seven asset classes: cash, equities, bonds, real estate, precious metals, commodities and collectibles. Since everyone seems to agree that portfolios should be diversified, you would expect that portfolios would include all seven. For the typical retail investor, collectibles can be eliminated because of the personal level of knowledge required. Commodities can also be excluded, as the primary methods to invest in commodities are derivatives and proxies of commodities, such as futures contracts and futures options. Purchasing actual physical commodities is not practical for retail investors, as it is impractical to store large quantities of most commodities. However, the remaining five asset classes are all available to be easily added to investment portfolios. By optimizing the percentage allocation to each asset class, reductions in risk and improvements in returns are achieved, as demonstrated in the above charts. For a complete analysis, investors can request our report, “Alternative Asset Allocation”. However, most portfolios consist of only equities and bonds in a 60/40 ratio. Very few portfolios have any real estate or gold. 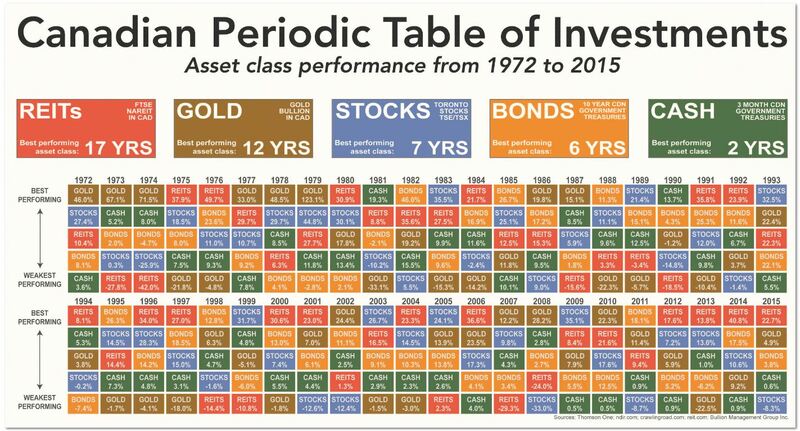 However, over the past 44 years, real estate and gold have been the two best-performing asset classes. 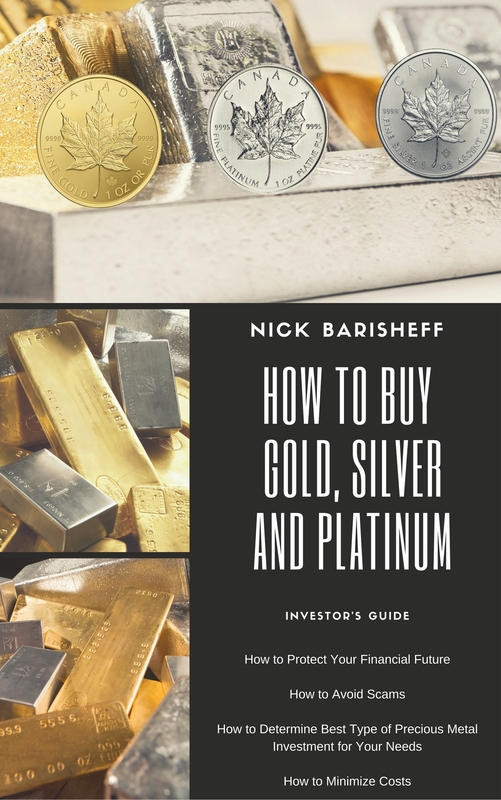 When I launched BMG BullionFund in 2002, I contacted many mining company executives, since I assumed that it was in their corporate interest to let their shareholders know they could now buy gold, silver and platinum bullion in their retirement accounts. After all, we would be buying the product that mining companies produced, and promoting their product as a critical asset for all portfolios. As the importance of owning gold increased, the demand would rise accordingly: the price of gold would go up, and so would the share price. However, most executives did not respond, and the ones that did thought we were in competition for investor money. They did not know that combining gold and mining company shares in the right ratio would improve their investors’ returns, and minimize the volatility of owning mining shares. With very few exceptions, the mining company executives didn’t differentiate gold – real money – from other commodities, such as copper and zinc. Their objective was to find the gold, dig it up and exchange it for pieces of paper with green ink on it. In the past 14 years we have had no support from the mining companies, even though we have purchased in excess of $500 million of the products that they produce. The attitudes of many financial advisors are even more puzzling. Globally, investment portfolios have less than 1% allocated to gold. For example, in Canada, the total size of the retail mutual fund market is C$1.27 trillion, not including institutional holdings. The total value of Canadian ETFs, closed-end funds and bullion mutual funds amounts to about C$10.1 billion, as of August 2016. Therefore, in comparison to the retail market, bullion represents 0.80% of total portfolio values. This number is elevated when you consider that most mutual funds and ETFs invest in bullion proxies and derivatives, and most Canadian closed-end funds are purchased by US citizens. If US purchases of closed-end funds, and the bullion substitutes in mutual funds and ETFs are eliminated, the number drops to about 0.15%. This means that only 0.15% of Canadian mutual fund portfolios have physical bullion held on an allocated and insured basis. This is hard to understand for the second-best performing asset class for the last 44 years. When we call many financial advisors, they tell us that they do not invest in gold on behalf of their clients, and that they are not even interested in discussing the subject. I think most investors would be shocked that their financial advisors have not had any educational background in money – the key component for all investments. There are, however, many advisors who have invested the time and energy to gain knowledge about money and the increasingly obvious flaws in the 41-year experiment in the global fiat monetary system. They do their due diligence, read the Prospectus, the Annual Information Form and the Financial Statements before they make any recommendations. 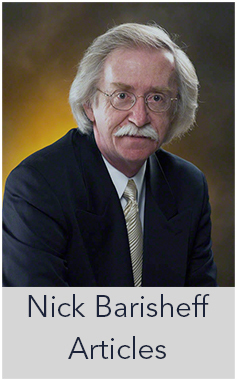 They have studied the history of money and construct portfolios that are truly diversified, demonstrating how adding precious metals and real estate reduces risk and improves returns. However, ironically, many of these advisors come under extra scrutiny by their compliance departments because of the prevailing myths about gold, even though they are doing the best job for their clients. If you do not own gold and real estate in your portfolio, you should ask your advisor what justification they have for not including the two best asset classes in your portfolio. You will likely be given some (or all) of the myths that I have previously written about. The negative bias in the mainstream media is also a major contributing factor. I have never seen more negative media articles about any investment than there is about gold. It seems that a journalist, who knows very little about gold or the history of money, wakes up one morning and decides to write an article perpetrating the unfounded myths about gold. In surprising contrast, there are few articles about how bad an investment Japanese equities have been. From the peak in 1989 to the low in March 2009, the Nikkei lost 81.9%. After 27 years, the Nikkei is still down 57.3%. They didn’t write many articles about how many investors lost 78.2% in the NASDAQ crash and it took 15 years to break, even before taking inflation into account. The investors, financial advisors and journalists, who think for themselves and logically analyse the facts, inevitably conclude that they need at least 10% of their portfolio in gold to protect their accumulated wealth. Self-made entrepreneurs come to this conclusion most readily, as they are conditioned to think out of the box and make decisions based on logic and facts, rather than unfounded myths. Today, some of the most prominent billionaires have already taken their positions in gold, while the retail public is slowly starting to come around, and the institutions are largely missing. 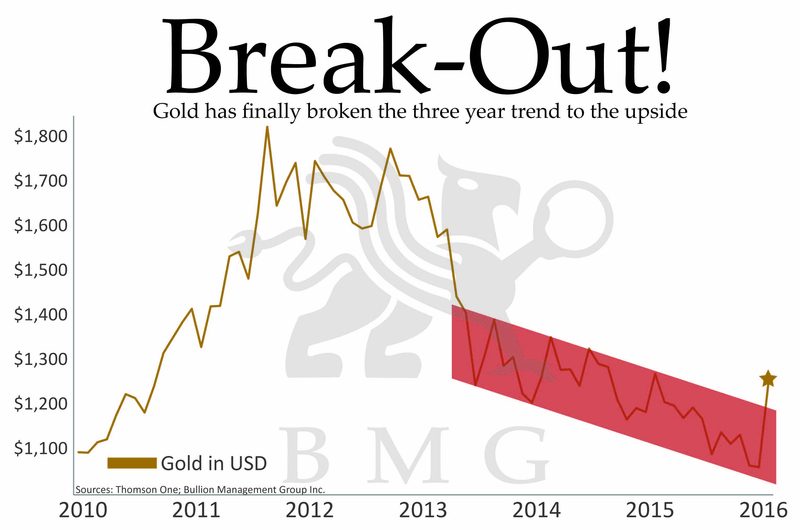 After the longest correction in precious metals, many analysts believe that they have entered a new uptrend, and that prices have been artificially suppressed for the past four years. However, many investors who had invested at the interim top of $1,900 in 2011 are now selling their gold holdings. This is the worst possible move they could make, as equity markets, bonds and even real estate are artificially overvalued due to central banks’ easy money policies. The well-known Wall Street saying is to “buy low, sell high” not “buy high, sell low.” Today’s activity is very much like that in 1976, when gold rose from $35 to $200 by 1974, and then corrected 50% to $100. 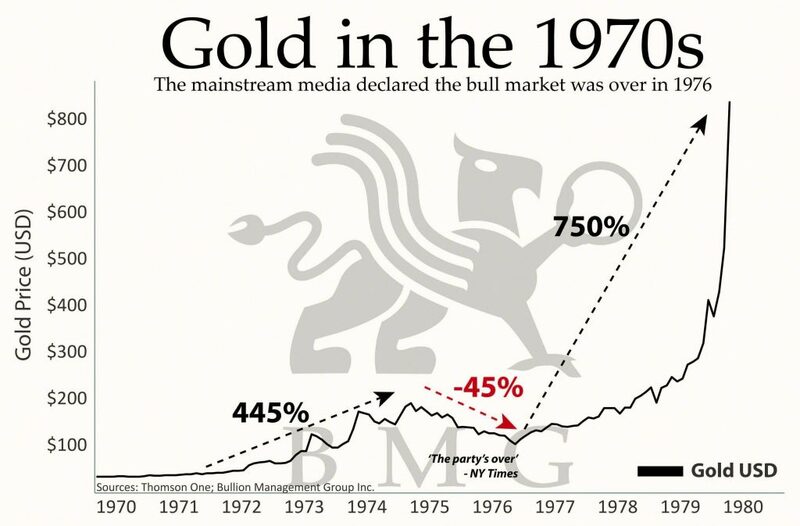 In 1976, many investors sold their gold holdings and didn’t want to ever consider owning gold again. 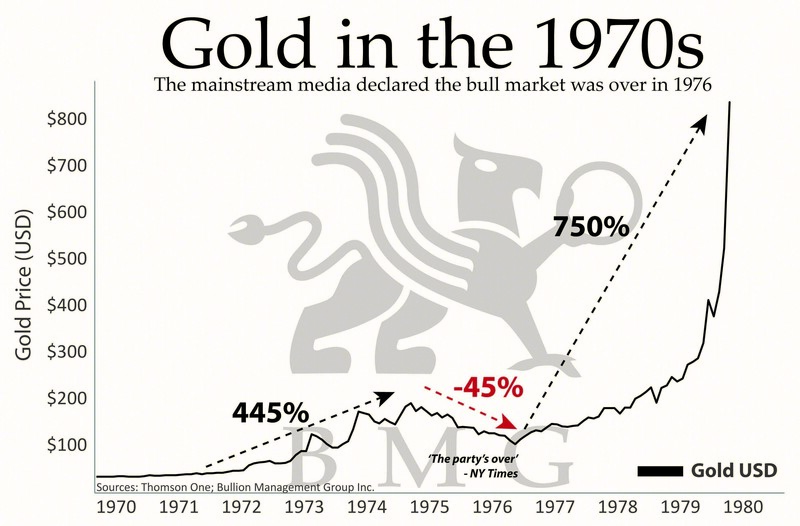 However, from the low in 1976, gold rose 750% to $850 by 1980. 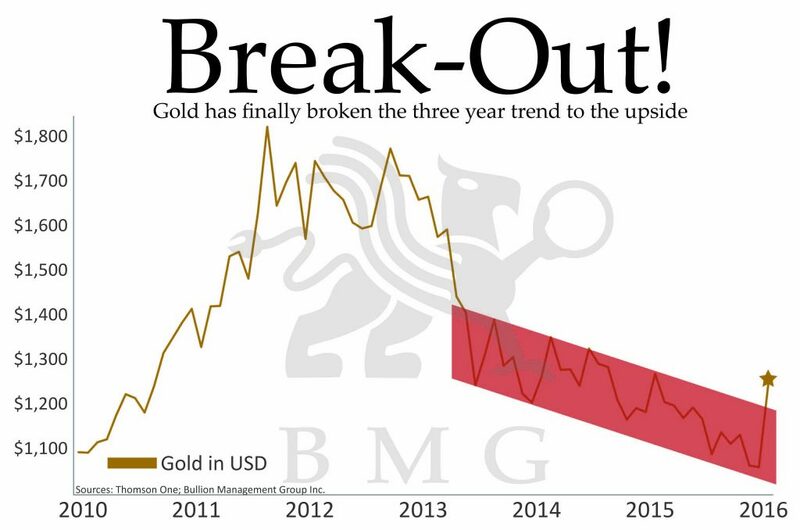 With today’s financial vulnerabilities and overpriced equities and bond markets, not to speak of depreciating currencies, precious metals are set to rise dramatically while traditional financial assets decline. The total value of all stocks in the world as of July 2016 was US$61.47 trillion. The total value of all government and corporate bonds in the world as of July 2016 was US$87.69 trillion. The total value of all investable real estate in the world as of January 2016 was US$81.0 trillion. Combined, these three asset classes amount to US$230.16 trillion. When it comes to gold, the total amount of physical gold, outside of central bank holdings, is estimated at only US$1.16 trillion, even though most of this gold is not available for sale at any price. This represents a global portfolio allocation of only 0.51% to gold. What do you think will happen if even 10% of $230 trillion (equal to $23 trillion) tries to buy what little aboveground gold is available? Since you cannot simply print more gold, and mine supply is already declining, there will be an enormous supply/demand imbalance. When the attractiveness of gold becomes obvious to everyone, it will be too late to acquire large quantities of gold. Precious metals will be revalued at many times today’s price. 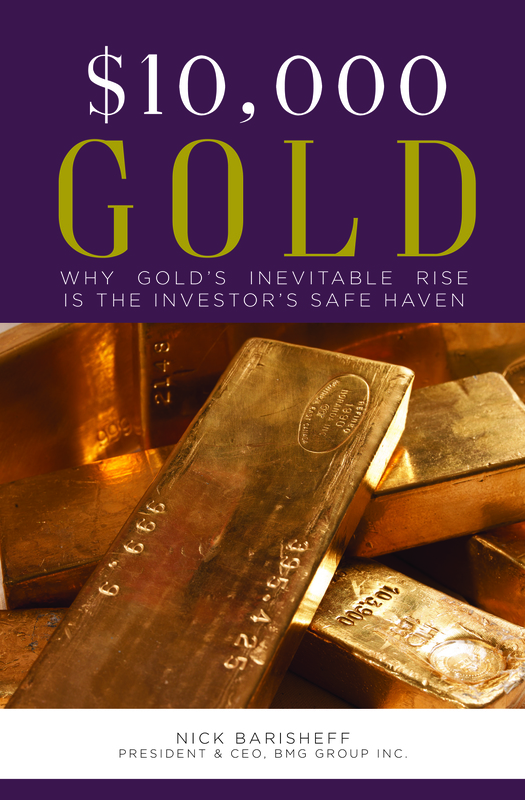 My original estimate of $10,000 in my book, $10,000 Gold: Why Gold’s Inevitable Rise Is the Investor’s Safe Haven, will seem like a conservative estimate. This was an outstanding article. As always in your articles, you leave nothing to be questioned. Over the years I have enjoyed receiving the Bullion Buzz newsletter. You are my top Gold expert.